What position(s) do you hold, besides being a HousingWorks Austin board member? In my day job I work with farmworker housing as the Housing Services Director of Motivation Education & Training, Inc, a regional nonprofit that provides employment, training, and housing to farmworkers in several states and provides early education services in rural East Texas. 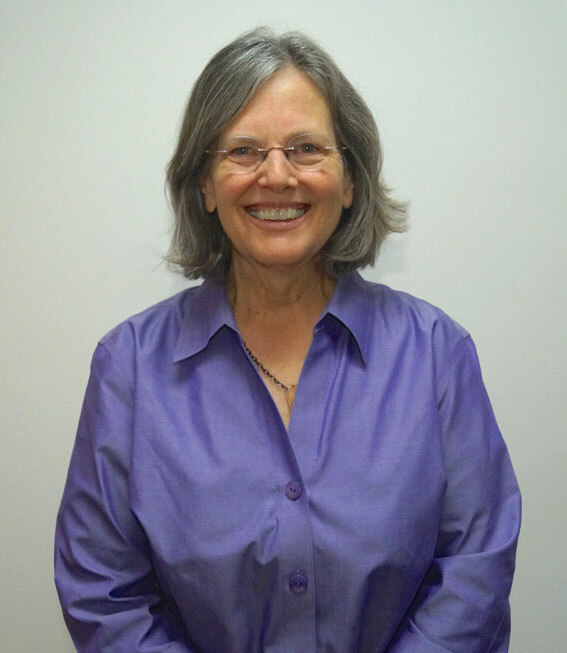 I serve on the executive committee of the National Rural Housing Coalition, the loan committee for Mercy Partnership Fund, the board of the Foundation for Expanding Horizons, and I am active with Austin Women in Housing. I was born in Childress and lived in San Antonio, Shreveport, and several other towns before my family settled in Dallas where I went to Lake Highlands from elementary to high school. I came to Austin in 1970 to attend UT, fell in love with the city, and got the education of a lifetime working in the Clarksville neighborhood (the historic freed slave community, not the now trendy and expanded area), where I worked as a UT intern, VISTA, and later as a city employee – and this is where I was bit by the housing bug. Housing is what residents asked for, whether improvements to their homes, negotiating with landlords, a new place to live, or a loan to buy a home. So working in Clarksville, then later with Guadalupe, Blackland, and Blackshear neighborhoods in East Austin, I gained experience tackling a broad range of housing issues. I returned to UT for a masters in social work, with an emphasis on real estate and housing policy. In the 1980s I started my first stint at MET with farmworker and rural housing. 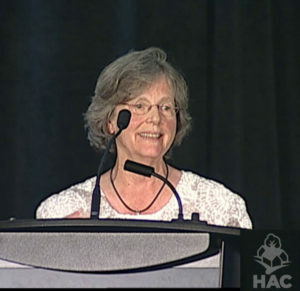 When I wanted to learn about housing efforts outside of Texas, I spent most of the 1990s in Washington DC and for 15 years worked for a national group, the McAuley Institute, a community development financial institution and technical assistance provider that focused on women’s leadership. I kept on with McAuley when I returned to Austin and then took up my second stint with MET. I was honored in December to receive a Skip Jason Award for Community Service in rural housing from the Housing Assistance Council. But I consider it my privilege and heartwarming to see the transformation in farmworkers’ lives as well as their housing when a so-called “home” – which is unlivable and without basic services – is rehabbed into a modest safe space. These transformations of lives and housing makes me very proud of our miracle-working housing staff who assist folks without toilets, hot water, or safe electricity on the limited resources we can cobble together. We’ve brought attention to farmworker housing needs in Texas. From my national work at McAuley Institute, headquartered near Washington DC, I directed our lending of $15 million for housing activities across the country. It also allowed me into the lives of incredible everyday women accomplishing sensational feats in their communities. In my first stint with MET in the 1980s my key accomplishment was new farmworker housing in Hereford that still provides quality homes in a community that at the time was very opposed to farmworker housing. 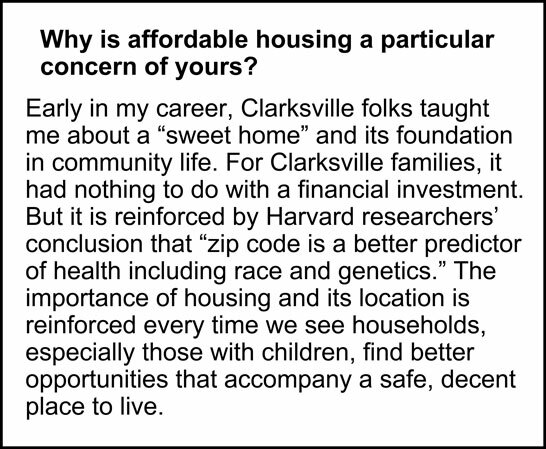 There is still affordable housing in the gentrified historic Clarksville neighborhood, where I worked in the 1970-80s, and I’m glad some original Clarksville residents can still live there. Friends, family, walks, music, reading, dancing, all kinds of fun, and learning new things.